Aside from the Vatican in Rome, Monaco is the smallest independent state in world. The mere mention of the principality conjures up images of multi-million yachts, money-draining casinos and high-priced hotels. While Monaco is indeed the perfect playground for the wealthy traveler, the country has plenty to offer less affluent visitors as well. Although visitors typically sport their finest garb while touring this well-heeled nation, it costs next to nothing to access attractions like parks, museums and open-air marketplaces. Bordered by France on three sides, Monaco occupies a prime stretch of real estate on the French Riviera but has a character that is entirely its own. Encompassing less than a square mile of land, the nation is almost entirely urban yet has the feel of an elegant resort town. 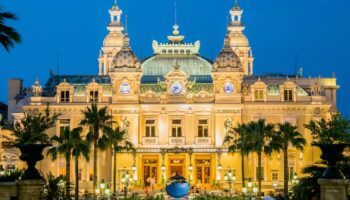 Gambling facilities have made Monaco a famous tourist destination, and the casino Monte Carlo is still one of Monaco’s biggest attraction. Visitors willing to pay an entry fee can enter the casino’s private gaming rooms. During the day, anyone over 21 can enter free to try their luck at the slot machines in the lobby. Much of the world’s fascination with Monaco revolves around the romance and marriage between Academy Award winning actress Grace Kelly and Prince Rainier III. Visitors can tour the rose garden planted as a memorial to the princess in Fontvieille Park, see some of her belongings in the Princess Grace Irish Library and view her final resting place in the Monaco Cathedral. Other attractions include the Oceanographic Museum and Aquarium as well as the changing of the guard at Monaco-Ville, a palace that was originally a medieval fortress. 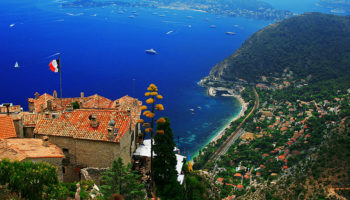 Whether splurging on a luxury vacation or taking in the nation’s sights as a day trip from France, a visit to Monaco offers travelers an intimate look at the history and culture of this diminutive country.